Train interior, originally uploaded by seadipper. 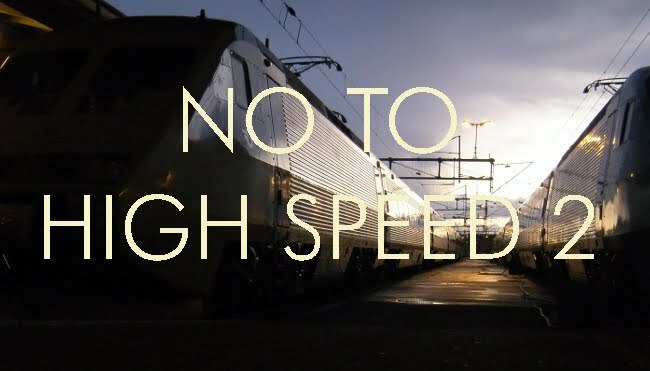 Why is the HS2 proposal for the standard European gauge? If built to an enhanced loading gauge, it ould accommodate 3.5 metre wide passenger trains such as Bombardier's Gröna Tåget. 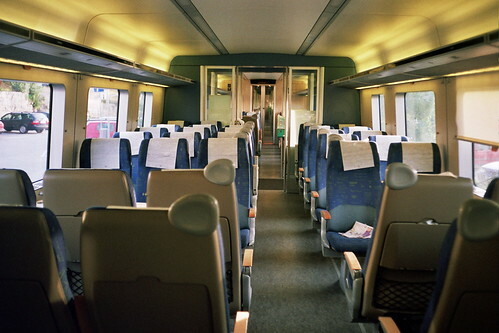 This is a development of the Regina (above) and provides comfortable 2+3 seating - 25% more capacity than a conventional width train. And then there are double-stack high-cube containers to be fitted in. All of which would add relatively little extra to the cost, and would in any case be much less expensive if built as a conventional speed railway.